This week on the CBT Nuggets blog, we went over the tips and tricks you’ll need as a Salesforce pro to go along with CBT Nuggets trainer Jamie Grettum’s latest course: Salesforce for End Users – Classic Interface. We go over the shortcuts you should try, how to get the most out of communicating on the platform, and some ways you can start using Salesforce Classic right now. Salesforce is an incredibly robust CRM. But there are some simple tricks and shortcuts that can turn you into a Salesforce superuser! Here are four tips that will help you feel like a Salesforce expert in no time. 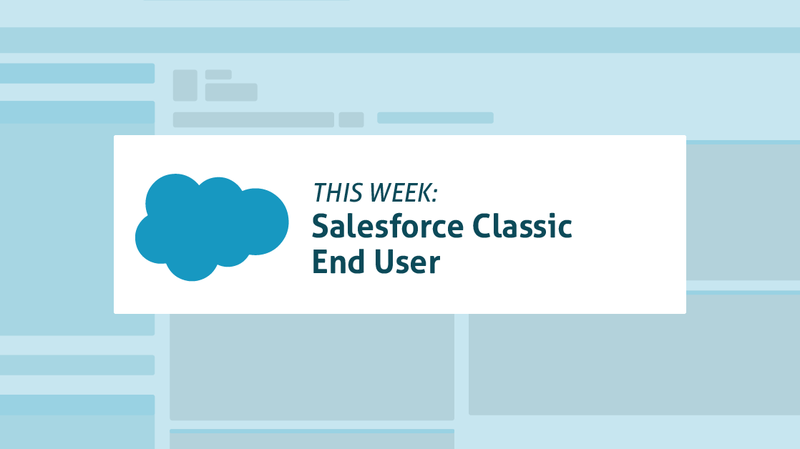 Salesforce Classic has the potential to be an awesome communication and collaboration tool if you fully understand the mechanics behind how to use it comprehensively. Discover the methods that you could use to communicate more effectively with both your team and your customers to grow into an information transmission guru. More than 150,000 companies are using Salesforce to help build solid and meaningful connections with their customer bases. With a list of clients this extensive, some of the names are bound to be somewhat surprising. Take a peek at the stories of why these seven companies decided to use Salesforce, how it has benefitted them, and how using Salesforce can benefit your organization. Organizational admins are tasked with building out and setting up a plan for an effective use of a customer relationship management (CRM) platform. But how can admins manage and keep a pulse on pieces of the strategy moving forward from the planning stages? Discover four ways that you can monitor your data in Salesforce to make sure that it is being used efficiently and effectively.